Canada's largest cryptocurrency exchange -- at least until recently -- has filed for bankruptcy. 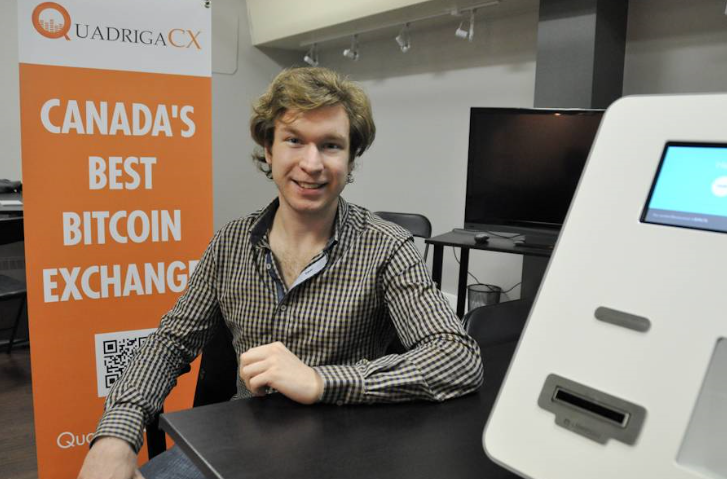 QuadrigaCX announced on its website that it had filed for protection under Canadian credit protection laws. The company started to run into problems about a year ago when bank CIBC froze several accounts belonging to its payment processor Costodian Inc and its owner Jose Reyes. Customers began to report problems withdrawing cash afterwards. Then it really gets weird. 29-year-old founder and CEO Gerald Cotton died on his honeymoon on an early-December trip to India from complications due to Crohn's disease. The company didn't announce it until five weeks later. Evidently, he died with the private keys. "We have worked extensively to address our liquidity issues, which include attempting to locate and secure our very significant cryptocurrency reserves held in cold wallets, and that are required to satisfy customer cryptocurrency balances on deposit, as well as sourcing a financial institution to accept the bank drafts that are to be transferred to us. Unfortunately, these efforts have not been successful," the company said in its statement. The company is rumored to hold customer accounts between $100m and $900m. The first bankruptcy hearing will be Feb 5.